The Toronto Comic Arts Festival is coming this weekend! I’ll be flying up to Toronto this Friday to attend. I went last year for the first time ever and it was absolutely amazing, especially going to the sessions with est em speaking. TCAF really goes the extra length to invite Japanese manga artist which is rather uncommon for North American comics conventions. This year in attendance will be Aya Kanno (Otomen, Blank Slate) and I’m excited to try and get my new copy of Requiem of the Rose King signed, a recently released manga of hers that I really enjoyed. And then there’s Gurihiru, the Japanese artist duo behind the Avatar: The Last Airbender comics! These folks are in addition to the many other North American artists I’m excited to shuffle up to the tables of and buy their books. On Saturday, May 9th the local Bento Miso coworking space in Toronto is holding their Bit Bazaar, where you can go play games and buy special game goods from local crafty folk! TCAF also hosts the Comics vs Games exhibit! Many new and interesting games will be available to try out within the library itself. I’ll be giving a microtalk on dating sims during the Comics vs Games speaking slot between 2PM – 3PM on Sunday, May 10th! So if you’re around the area come check it out! 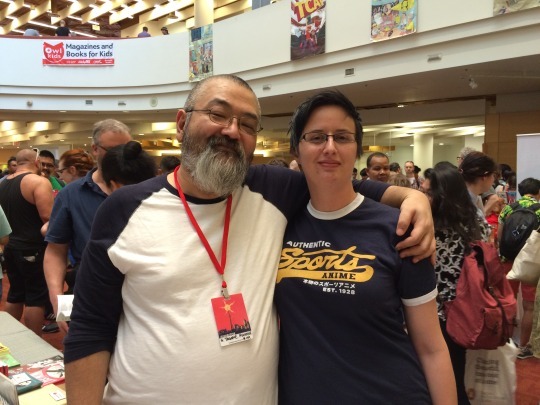 Attendance to TCAF, Comics vs Games, and Bit Bazaar is all free.